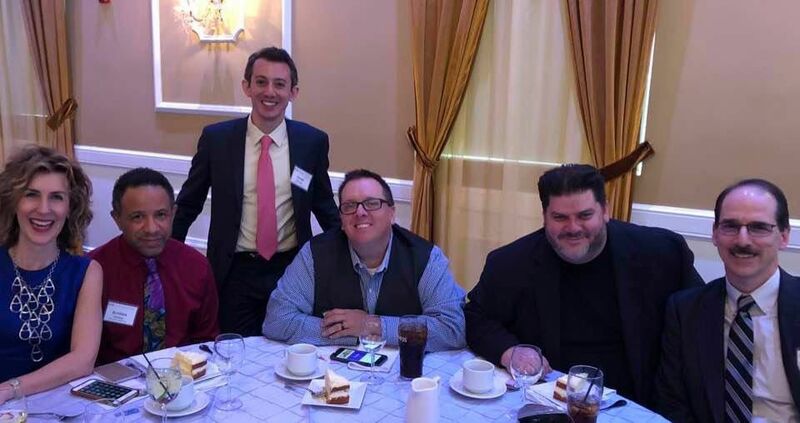 Atlantic City Weekly picked up its nine 2018 New Jersey Press Association awards — five of those were for first place — on Thursday, April 11, at a gala dinner held at Hamilton Manor in Hamilton. The NJPAs, held annually, is a statewide editorial contest for both daily and weekly publications. All winning publications were in attendance, including our sister paper the Press of Atlantic City, for a cocktail hour followed by a dessert reception and the awards presentation. The crowd was even entertained by Elvis Presley impersonator Jeff Krick, who was fully decked out in a white beaded jumpsuit reminiscent of Elvis’ ‘70s style.